This remote island is best known as one of the world’s five “Blue Zones,” regions where people enjoy good health and live longer than average. Learn the secrets to longevity from the Ikarians’ culture and lifestyle. One in three locals make it to their 90’s and say it is the result of consuming strong red wine, late-night domino games and a relaxed lifestyle. Often recognized as the best Greek island for nature lovers, Ikaria features a stunning coastline with pristine beaches and abundant nature. 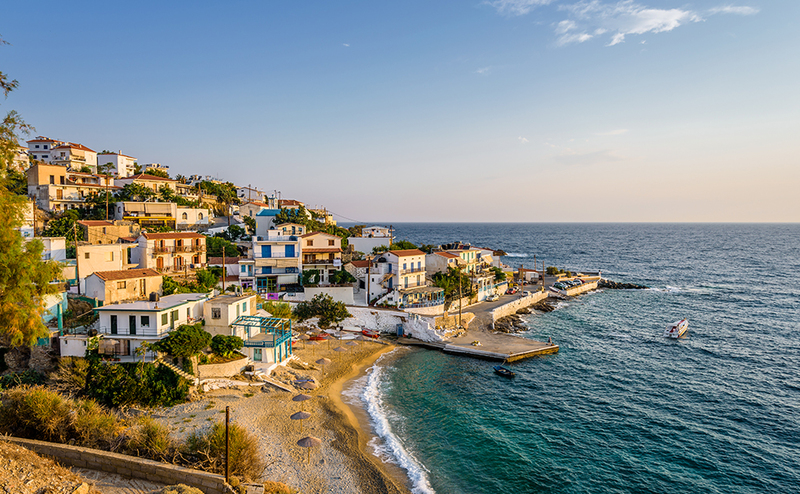 There are over 200 villages scattered throughout Ikaria, giving the island its unique, authentic character.